Language has been with us for as long as thousands of years. It's even been said that "the pen is mightier than the sword". That may or may not be true, but we do know for sure that with language, we can bend people to our way of thinking for better or worse. At the same time, it does take a certain level of skill to artfully use language to make your point. Anyone can write down random words and call themselves a writer. But if you wish to take things to another level, then this blog post would be a great place to start. Here, we will outline some techniques used in writing that can instantly make your message sound more compelling. My only hope is that you use this power for good and help other people make choices that would be in their best interest. So, with that being said, let's dive in. Your headline is your first impression to your reader. If you flop on this, then you can kiss that potential reader goodbye. Whether you're writing a sales letter, blog post, or article, you need a strong headline that will grab people's attention. Especially in today's world where most people have a million and one things on their mind and a million and one other things trying to grab their attention from radio to billboard ads. If you want any chance to stand out, then your headline needs to stand out like a sore thumb, to the point where your reader can't help but click through to learn more. If you need help in writing better headlines, then I highly recommend using Co-Schedule's Headline Analyzer.​ It's 100% free and you can use it to test and tweak your headlines until you get an optimal score. 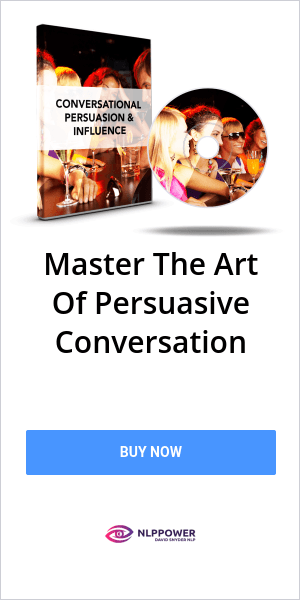 Note: Interested in learning more persuasion techniques? Then, check out my blog post on s﻿﻿l﻿﻿eight of mouth. You might think you're impressing your readers by using big and fancy words, but you're probably doing the exact opposite. Have you heard of the KISS Principle? Keep It Stupid Simple will never let you down. You'll appeal to a wider audience of people and people are more likely to read your stuff to its conclusion. Keep in mind that most people do not read on a consistent basis. No one wants to read a text and feel like they need to keep a dictionary nearby just to unravel it. Make sure your message is clear and concise by using words that even a 10 year old can understand, and you will attract many readers. If you're selling stuff on the internet, then you need to keep in mind that people will find any and every reason not to buy your stuff. It's important that you keep those reasons in mind as you're addressing your products and point out whatever is going thru your prospect's head. Is your product relatively expensive compared to your competitors? Or maybe, it's a lot cheaper. In either case, talk about it and use it to your advantage. Take a good look at your product and service and look at it through your customer's eyes. Think of every reason you can think of why you wouldn't buy your product. Note: Do you love motivational quotes? Then, check out my 10 influence quotes. People tend to remember things that they hear or see over and over again. Look at companies that create TV Commercials. They create a slogan that gets repeated over and over again and before you know it, it's engrained into your subconscious. You know that they did a good job when you see their company brand and their slogan is the first thing that comes to mind. POP Quiz! What's the slogan for McDonald's? If you answered anything but "I'm lovin' it", then you need to get outside more. Repetition can be used for other things besides slogans. You can also use them to emphasize certain points about your product, or about a particular topic that you're talking about. If it's worth mentioning again, then you should do it. Just be careful not to overuse it, or you'll sound like a broken record. This writing technique stems from the general idea that people are motivated by either one of two things: to gain pleasure or avoid pain. This technique emphasizes on the latter. Your reader's pain points are powerful motivators. So, it would be in your best interest to agitate it a bit. Why? To get them to do something about it. For example, if you're selling a weight-loss product, your reader's pain point might be their self-image. Instead of ignoring it for their sake, you should put it right in front of their face. If you want to captivate your reader and encourage them to read to the end, then give them a story to read. Most people love to read a good story. But it's both a science and an art to not only write a good story, but also tell in a way that captures your audience's attention. For more information on how to tell a good story, check out this article from Forbes which breaks down 5 ways to get better at telling stories. Social Proof is practically a must when it comes to selling anything online. Why is that? Well, people like to know that there are other people that can attest to your product or service. In the age of information, just about anyone can slap together a digital product or software for free (or very cheap) and be in business. While this may have worked in the "Wild West" days of the Internet, that is no longer the case. People are a lot more gunshy about pulling their wallet out and purchasing something online. It's becoming harder to tell what's good from what's a steaming pile of crap. One of the ways that we make that distinction is through the use of social proof. When we hear another person vouch for a particular product or service, we feel reassured. And that extra bit of re-assurance could make the difference between a person buying from you or looking elsewhere.